We have a blog, help guides, tips and tricks to help you get the most out of your online bingo experience. 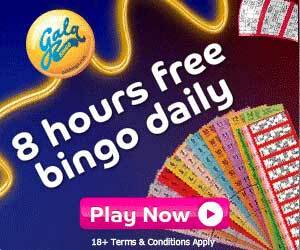 Our bingo site will keep you fully up to date with all the biggest promotions, jackpot news and bonus offers, such as the exclusive Unlucky for Some promos offered by ‘Bingodate.com‘ and other great new bingo sites on a daily basis, as well as providing you with the more serious side of bingo news. There are now many variations of games that you can play and these include, traditional 90 ball bingo, 75 pattern ball bingo, 80 ball bingo also known as shutter board bingo, Scandinavian / multi line bingo and the all new 30 ball speed bingo. Many bingo sites also include casino games, alternatively the online casino review site Onlinecasinos.co.uk offers you a lot of valuable information on the top casinos to play at. The reviews section of our site will give you the full run down on exactly what’s on offer at a glance, plus lots more besides! The UK bingo industry is growing by the day, with lots of the best free bingo sites that now offer some huge deposit bonuses. There has never been a better time to play bingo, and all this can be done from the comfort of your home, where you are now able to experience it 24 hours a day 7 days a week.